Try the latest pure Racing Green poncho this WINTER SEASON! 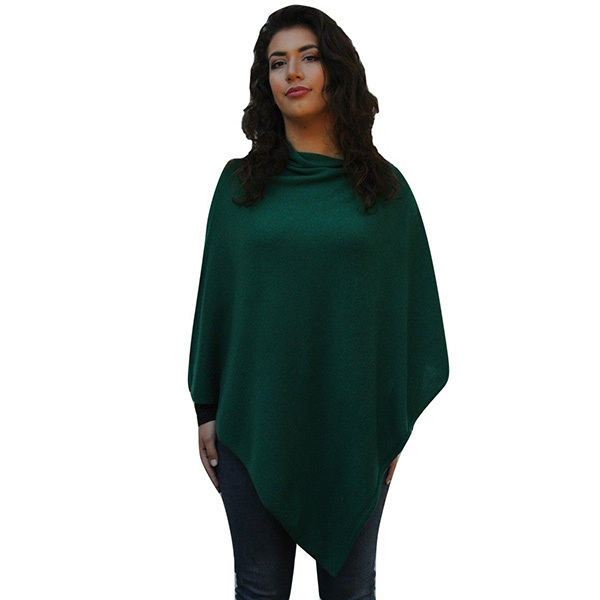 This Racing Green poncho is an unusual shade, ideal casual wear particularly when the weather is cooler. 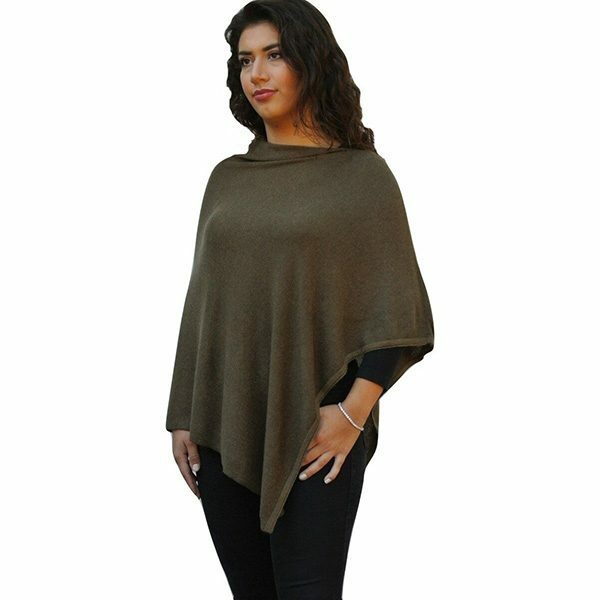 Women who like to wear comfortable and light clothing will absolutely love our lightweight cashmere poncho. 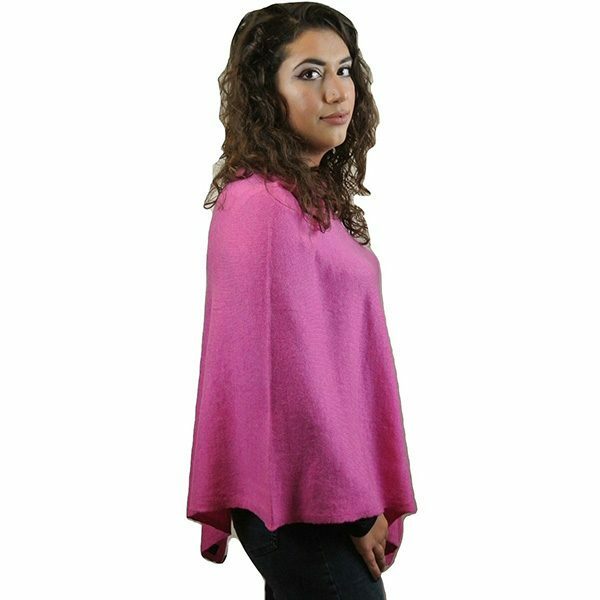 These 100 % pure cashmere ponchos are exclusively produced for Karianne’s Secret. They are handcrafted in Nepal using the hair of the mountain goats found in that region. 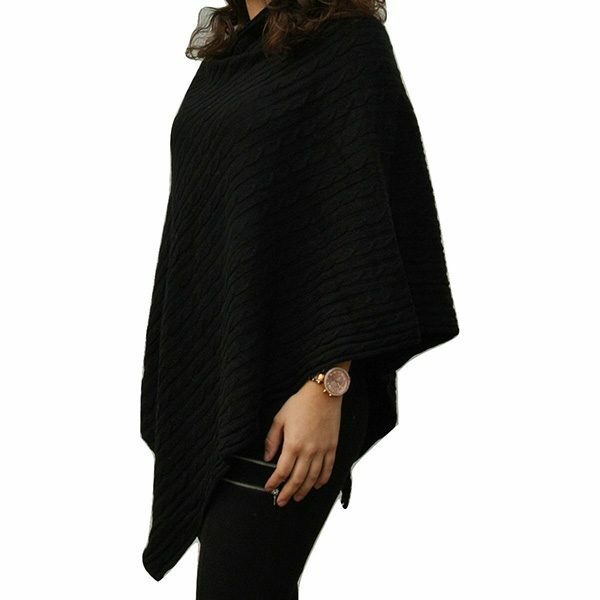 A Poncho is the perfect cover-up, throw it on and you are ready to go. More than a just a simple accessory. 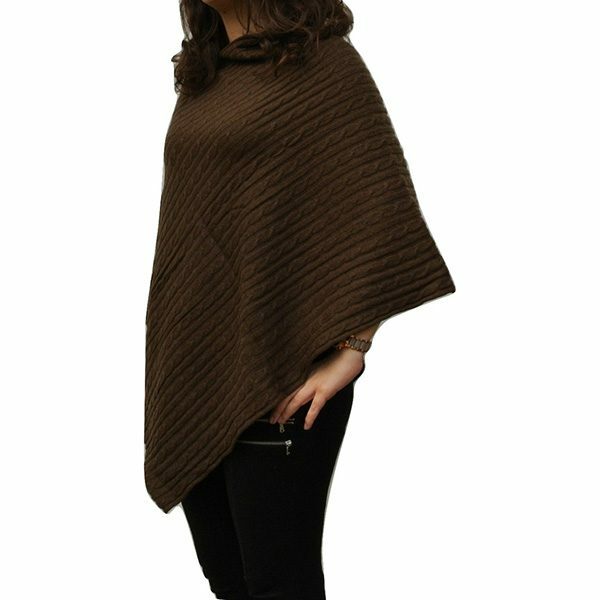 If you are looking for a versatile garment for any season, a cashmere poncho is just the thing. Elegant yet comfortable, it will be perfect worn on it’s own on cool evenings or over a jumper for extra warmth. A holiday essential lightweight but very warm to wear, perfect on flights, eating out and for cooler evenings. So wherever your day takes you, out with friends, walking the dog or working, keeping warm has never looked so stylish. 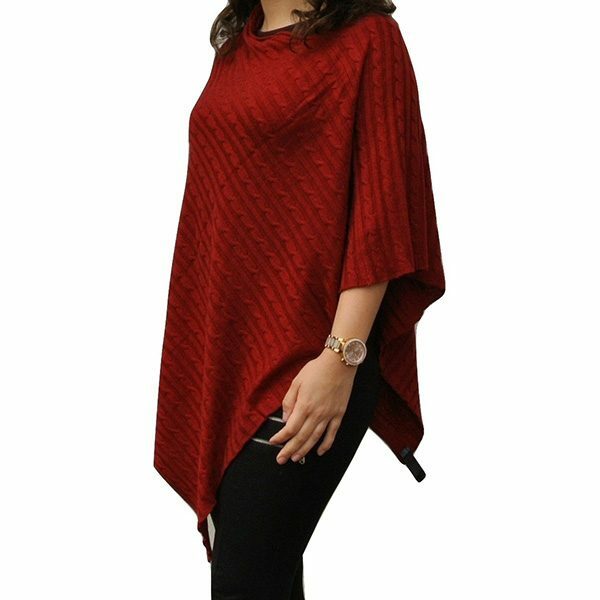 Treat yourself to one of our exclusive ponchos today and you’ll love it forever A Poncho is a stylish alternative to a sweater or cardigan. Made using luxurious 2 ply cashmere for extraordinary comfort, softness, and warmth. Available in 15 colours to suit all tastes and occasions. Why Buy A Lightweight Cashmere Poncho Cape? 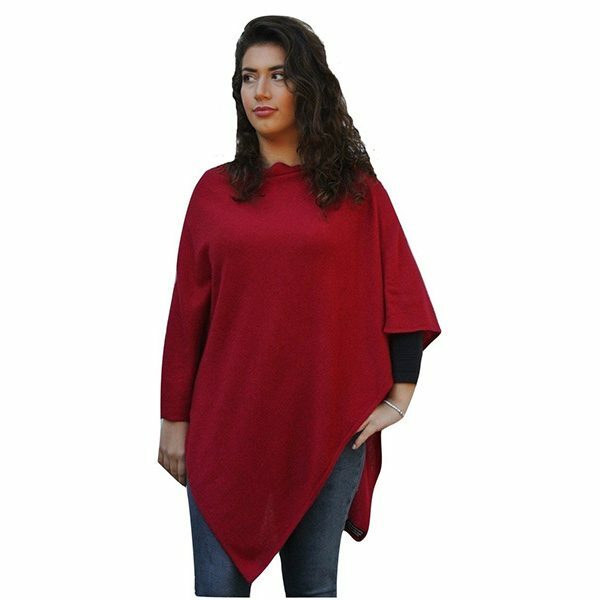 This luxurious 100 % cashmere poncho is an excellent alternative to bulky woollen garments. It is soft on the skin and lightweight for a comfort, unlike standard woollen products it is unlikely to irritate your skin. With proper care, this cashmere poncho will last longer than standard woolen wear. The thin yet super warm fabric will keep you warm through the year and give you a stylish look. 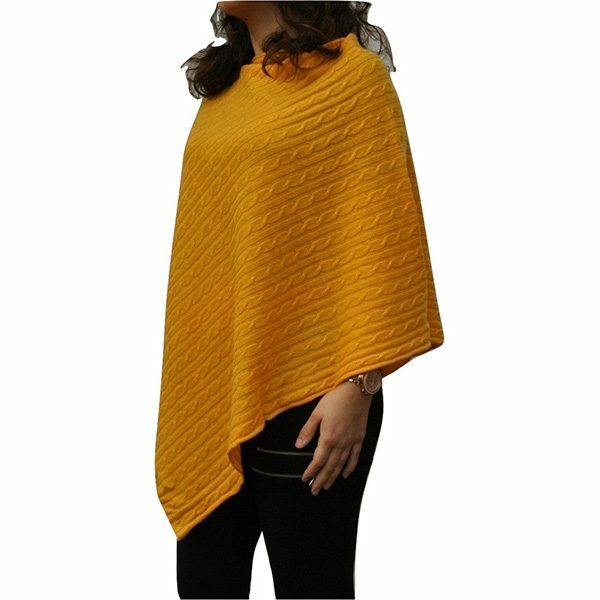 Do not wring because the poncho will lose its original shape. To remove the excess water, lay your poncho on top of a towel and roll into a tube shape. Press down gently to let the towel soak up the excess water from the poncho. Do not dry on a hanger or your poncho will stretch and lose its shape.